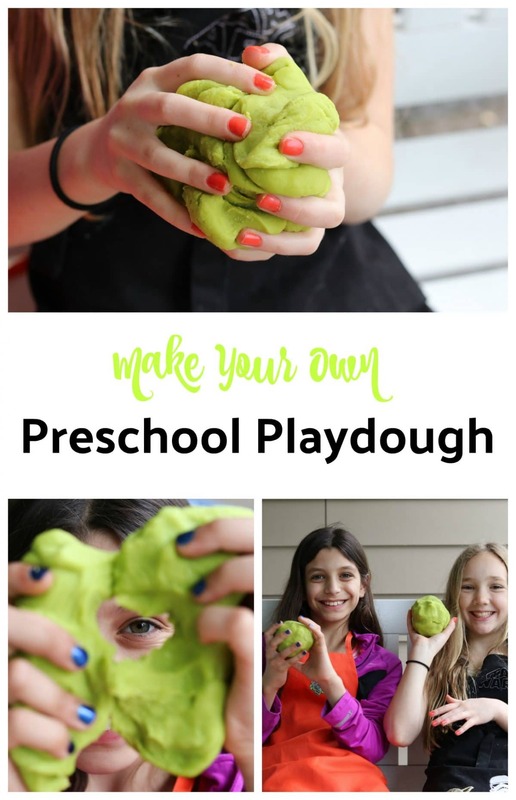 This preschool playdough is a recipe but it cannot be eaten! 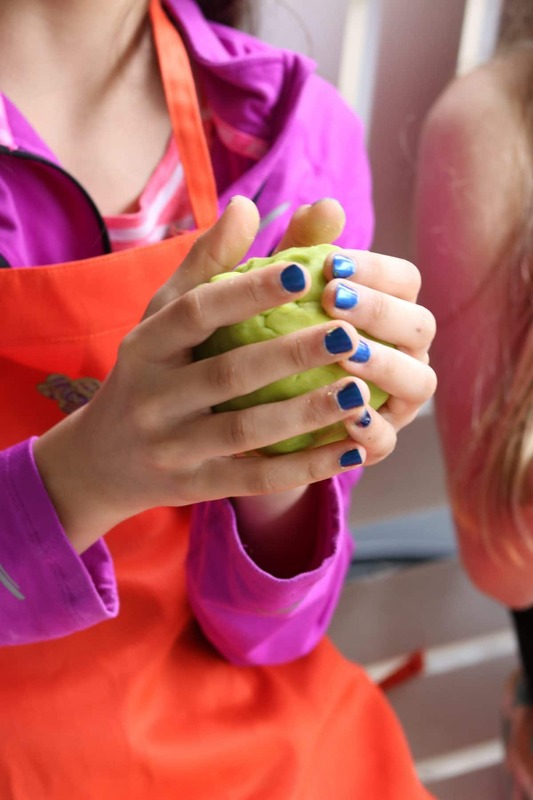 However, it is a very fun cooking project to make with your preschooler – or older kids! You can store this in freezer bags and keep it in the fridge or at room temperature – it should last for a long time. 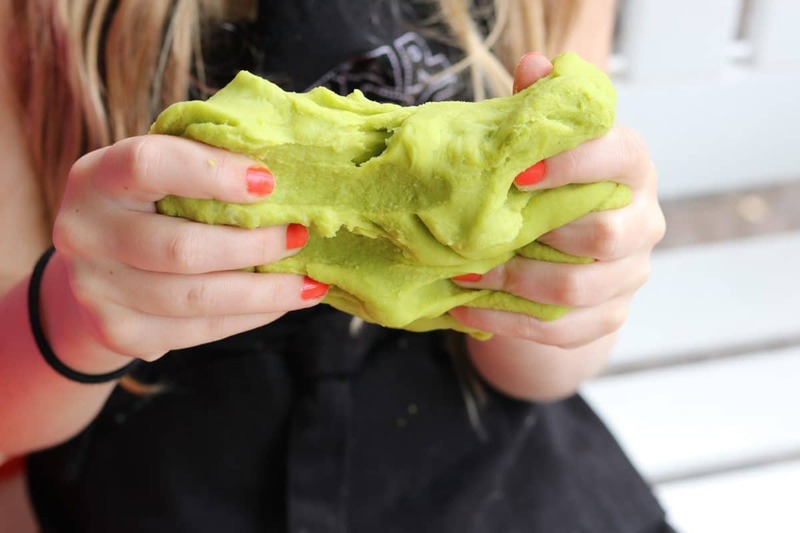 This preschool playdough recipe is straight from my 3rd daughter’s classroom when she was in preschool and she is 10 now – proven success. 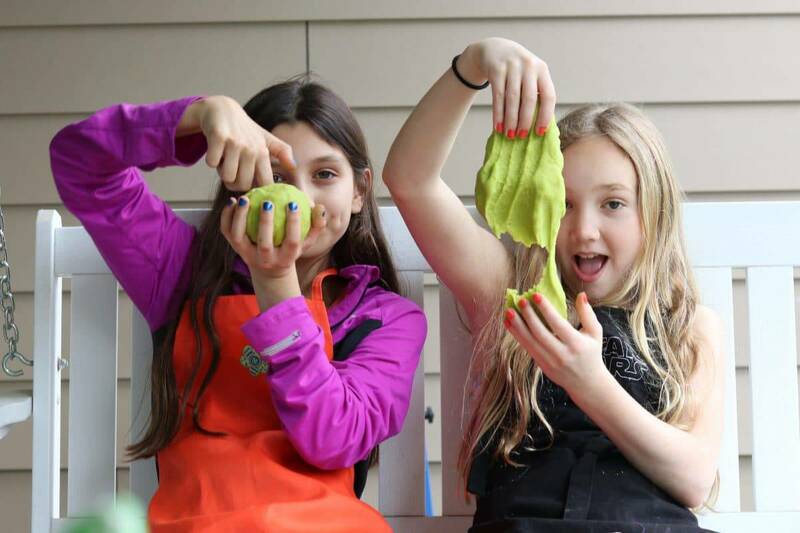 Today, Noelle and her friend made a beautiful batch of lime green preschool playdough for Keegan. Seriously, you can’t get fourth graders any more awesome than these two! 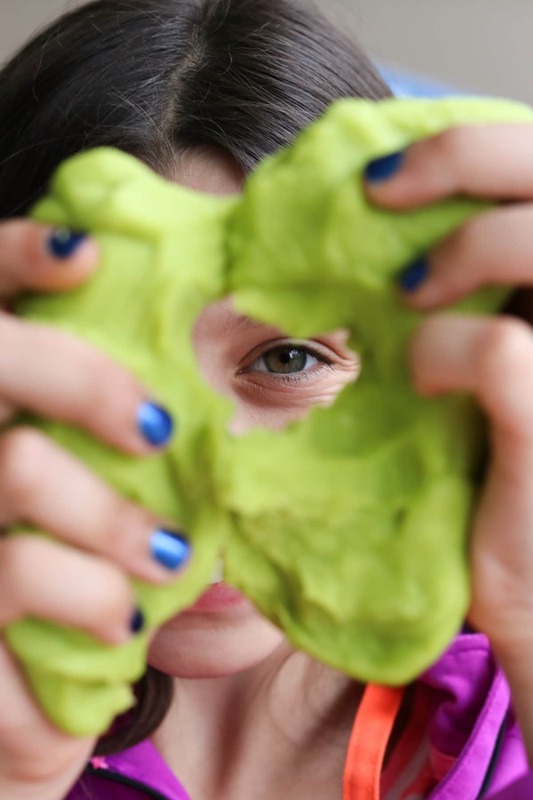 This super easy preschool playdough will last forever! Combine all the ingredients in a pan on the stove. Stir over medium heat with a wooden spoon until the playdough thickens. 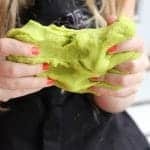 When it resembles playdough, remove from the heat and transfer to a bowl. Knead it until it is smooth and then enjoy!